One thing I will tell you about a cruise is that you WILL gain weight. I had so much fun on the cruise, but I gained about 6 lbs. YIKES! I’d already gained about 15 since I moved back to Dallas, so 6 more is totally not acceptable to me!! PLUS, my 30 year reunion is in 2 more weeks. So, what is one to do in this situation? Get back on track. Start eating healthy. I went to the book store and got a couple of South Beach Diet books. I’m not going to do the full diet. I don’t want anything that is restrictive, but they have some really good recipes in those books. I’ve already done grocery shopping and plan to eat my own cooking for lunch and dinner rather than eat a lean cuisine at lunch and go to a restaurant for dinner. This one I kind of made up on my own, but it was really good!! 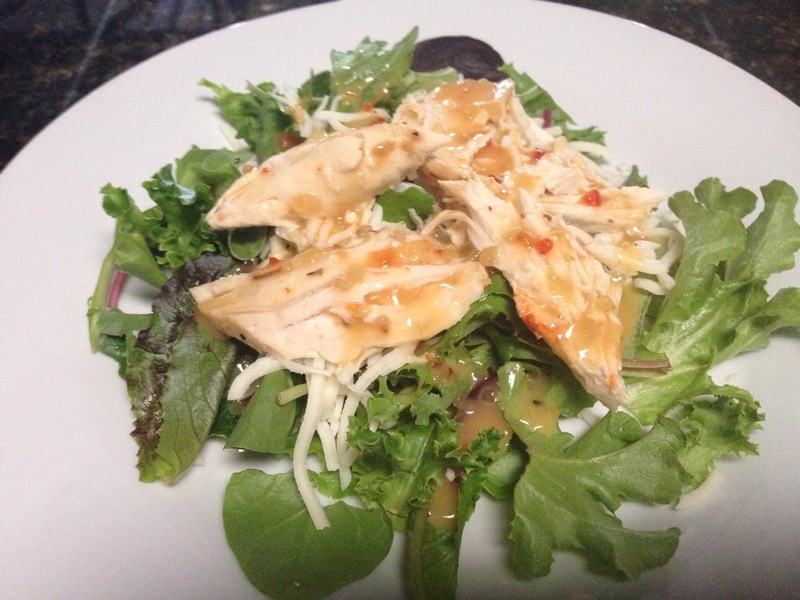 Put the chicken breast in a pan and cover it with the italian dressing, it doesn’t have to be all the way full of the dressing, just enough so there is a little at the bottom. Shake as much lemon pepper on top of the chicken as you like. Put in the oven at 400 degrees for about an hour or until cooked thoroughly. Make a bed of lettuce. Put mozzarella cheese on top of the lettuce. Put chicken strips on top of the cheese. Cover with Italian Dressing. You now have a healthy salad to eat that will fill you up! !